SoWa (South of Washington) Market takes place every Sunday in a three block area in Boston’s South End from May to October and continues inside during the colder months. The last outdoor market of 2014 will take place this Sunday, October 26, 2014 with a Halloween theme: Carnival of Curiosities. There will be a Halloween costume contest as well to kick off the last outdoor market of the season! 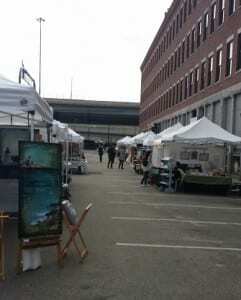 SoWa Open Market includes a farmer’s market, arts and vintage market and food trucks from local people and businesses. The first time I went to SoWa I missed an entire area, so make sure you check out the map before you go so you don’t miss anything! For more information about SoWa Open Market, please head here. Have you been to SoWa before? 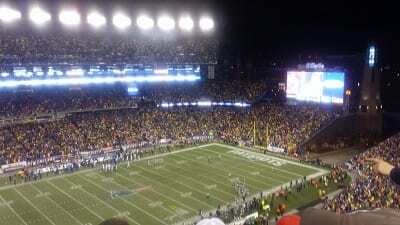 Last year the New England Patriots had the highest ticket price in the NFL and the second largest overall expense to attend a game at Gillette Stadium. It was almost $300 per person to attend a game last year, on average, which is not very budget-friendly. If you do plan to eat and drink at the game, eat at home, tailgate for the game, or find an inexpensive dining option. Try not to eat in the stadium whenever possible to avoid high drink and food prices. If you do like to attend Pats games at least once a year and don’t have a ticket hookup, I’d recommend signing up for the Patriots season ticket waitlist. It is $100 per seat when you sign up, however, you can put that towards season tickets if you do go that route. The best thing about being on the Patriots waitlist is access to the ticket exchange. The NFL ticket exchange is a great way to buy tickets from other fans at face value or below. Sometimes it can be tricky to find tickets for high demand games in advance, but you can usually find tickets for a few games, as well as last minute tickets to the high demand games. Although the waitlist isn’t for everyone, it definitely works well for myself and my family and has already paid for itself. One year we were able to find playoff tickets below face value because the weather was less than ideal. It definitely has saved us a lot of money and we’ve gone to a lot of great games! However, if you do not want to be on a waitlist and couldn’t get tickets at face value when they went on sale, finding last minute tickets to games are a great way to avoid high ticket prices. You just need to be flexible. Do you have any tips to save on Patriots games or your favorite Boston Sports Team? Typically I share fun and inexpensive things to do around the city and highlight it on this series post weekly. However, I’m cheating this week because I’ve been under the weather for a few weeks and haven’t been able to do much fun stuff around the city. (Don’t worry I’m slowly starting to feel better, hopefully, and better content should arise soon). There’s a lot of great cheap eats and things to do in Boston, but staying and cooking in can be fun. Sometimes making a meal at home can be fun and save you a lot of money. I like to meal plan and figure out meals before the start of the week to save money (and I’m more likely to cook if I know what I’m making). Since I’ve been sick lately, I also like to make bigger portions when I feel like cooking and freeze them for days I don’t feel as well. This is a great way to save time and money as well as saves on take-out orders. 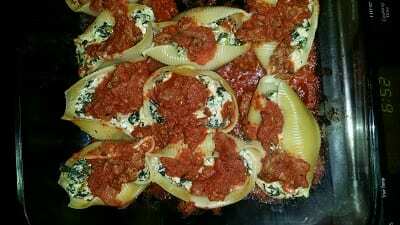 The image above is stuffed shells (I love this recipe) and it makes much more than my family of two can eat, so I usually have about two freezer meals and maybe even a lunch the next day. Do you have a favorite meals to make that are budget-friendly when you feel like staying in? Feature Friday: Isabella Stewart Gardner Museum! The Isabella Stewart Gardner Museum is an unique art museum in the Fenway-Kenmore neighborhood of Boston. The museum opened in 1903 and the building was designed to emulate a 15th century Venetian palace. If you haven’t been to this museum before, it’s definitely worth it. Free admission on your birthday and/or third Thursday evening events during your birthday month. If your birthday falls on a Tuesday when it’s closed, you can visit on Monday or Wednesday for free. EBT: Show your EBT card & photo ID and receive $2 admission for up 4 adults. On Monday, October 13th, the Isabella Stewart Gardner Museum (along with other local museums) will be free for Opening Our Doors 2014! 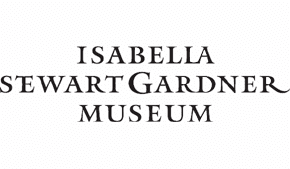 This is a great way to check out the Isabella Stewart Gardner for free! Have you been to the Isabella Stewart Gardner Museum before? What is your favorite art museum in Boston? Feature Friday: Discount Boston Parking with Mobile Apps! Update: The free $5 referral code below is no longer working. Please try jyko6z for a free $5 credit! Thank you. Boston Parking and budget-friendly doesn’t always fall in the same sentence, especially if you can’t find a free street spot. I like to have a parking back up when ever possible, and SpotHero is a perfect parking back up for me. 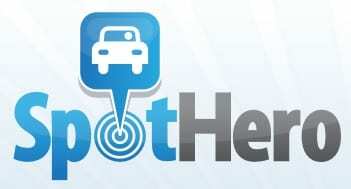 SpotHero is a mobile parking app that allows you to find, book, and pay for parking all on the app. You do not need cash to pay for a parking garage in Boston since your credit card info is on the app. Not all parking garages in Boston participate, but it’s a great way to figure out current parking rates for the time frame you want and to find cheap parking options. If you haven’t tried SpotHero before, you can register though my referral link for a free $5 credit. I’ve parked for a rate as low as $8 before for a few hours, so just $3 for parking for the evening after the promo code! Have you used SpotHero before? What is your favorite way to get cheap parking in Boston? Feature Friday: Free Wine Tastings at Urban Grape! Do you like drink for cheap or, even better, free in Boston? Wine tastings are a great way to sample different wines for free. 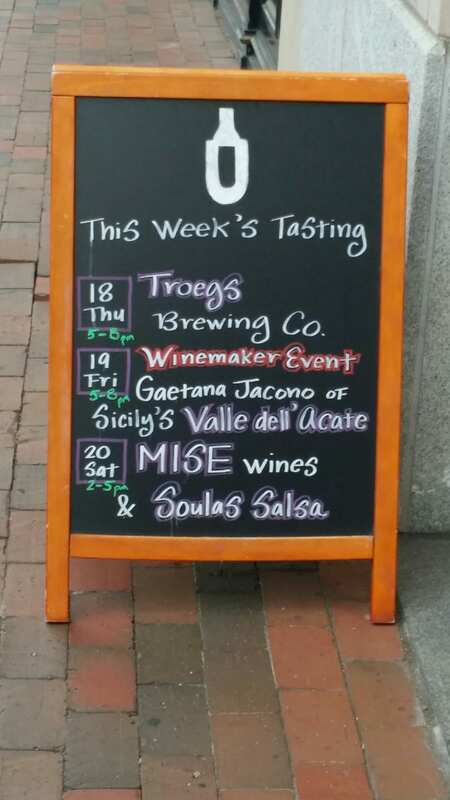 Urban Grape in the South End has different wine tastings each week that are free and open to the public. Better yet, some wine tastings are more than wine too. The wine tasting I went to also had different craft beer to taste in addition to wine. The wine tasting was a great way to break up a date night with something free thrown in before or after dinner. 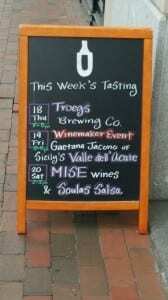 Urban Grape Free Wine Tastings are Thursday and Friday 5-8pm and Saturday 3-6pm. For more information or for the upcoming event schedule, please head here.